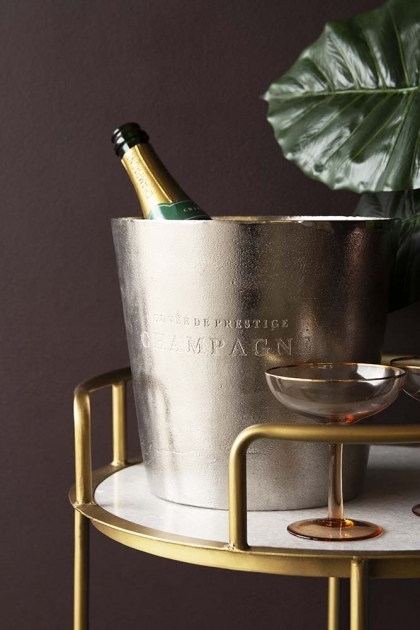 But, of course, you’ve got to keep your bubbly beverage of choice nice and chilled on your drinks trolley or home bar and so a Champagne bucket or wine cooler is a must! 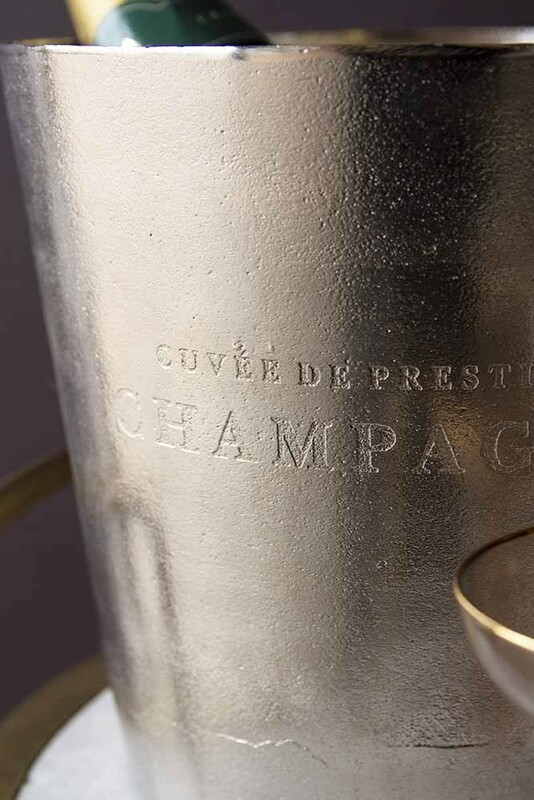 A beautiful vintage style champagne and wine cooler the silver container is a large bucket with the French words ‘Cuvee De Prestige Champagne’ etched into the metal. 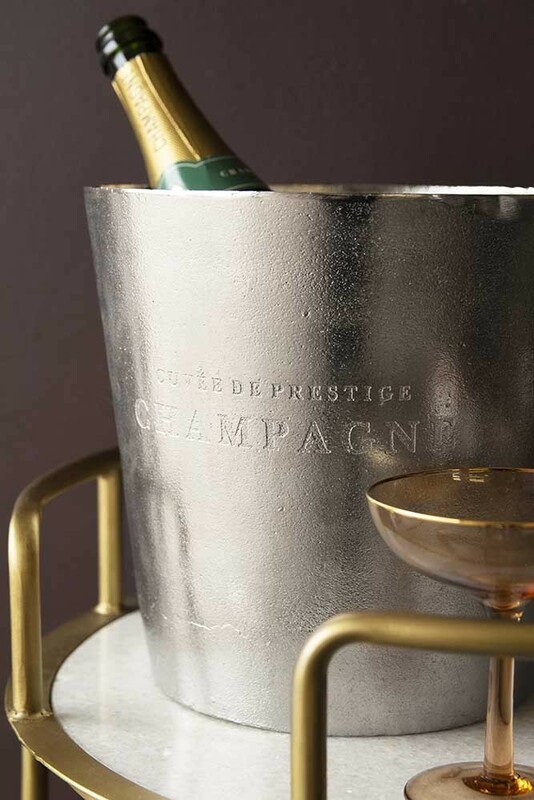 The ‘Cuvee De Prestige Champagne Bucket measures 23cm in diameter x 22cm in height and is made from aluminium. If you consider yourself a wine connoisseur or simply love drinking the stuff then this useful cooler is for you. An essential if you regularly host and entertain, simply fill the vintage style silver bucket with ice and let your wine or champagne chill whilst you are entertaining your guests. 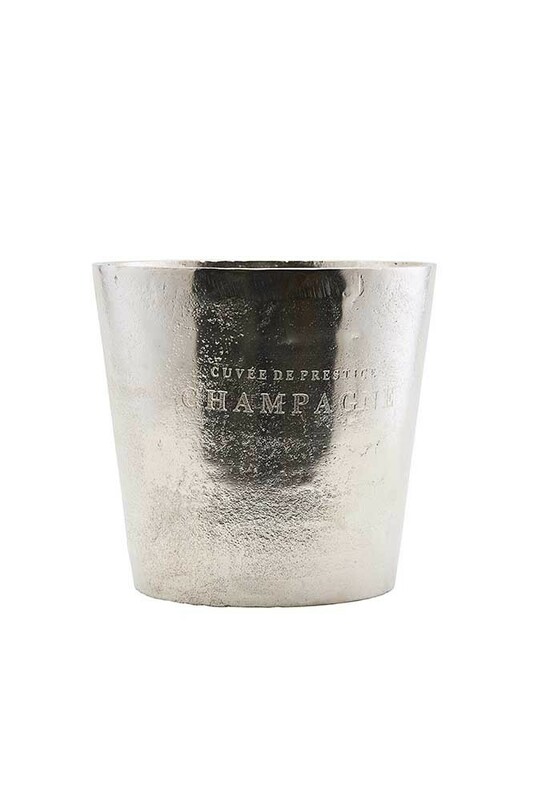 We also think that this stylish wine cooler / champagne bucket would make an wonderful gift. Gift it to anyone who loves a rock ‘n’ roll party or to new homeowners and newly weds. Whoever you decide to gift this gorgeous piece to, they are bound to treasure it forever.